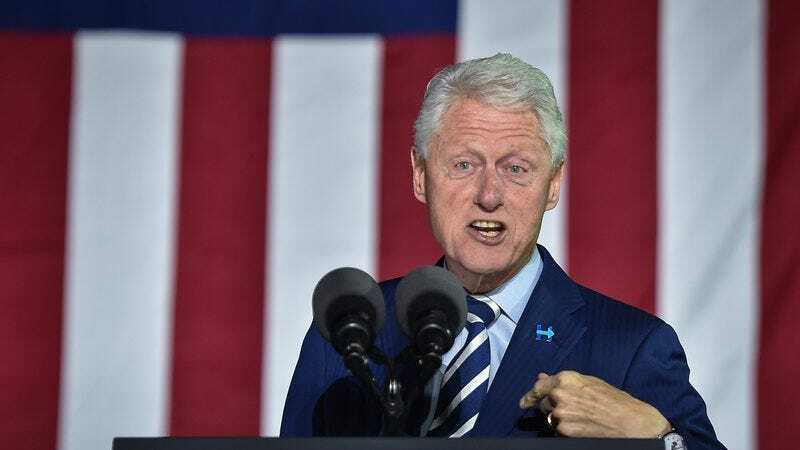 Bill Clinton and James Patterson are teaming to write a book that will almost certainly end up prominently displayed at every airport. According to The Hollywood Reporter, the former president’s first novel will be a collaboration with the prolific thriller writer, and published by Alfred A. Knopf and Hachette. It’s titled The President Is Missing and while there aren’t many plot details out there, Clinton is clearly not testing the limits of his imagination. “Working on a book about a sitting President—drawing on what I know about the job, life in the White House, and the way Washington works—has been a lot of fun,” Clinton said in a statement per THR. The President Is Missing—which, if we’re to believe the hype, is “a unique amalgam of intrigue, suspense and behind-the-scenes global drama from the highest corridors of power”—is scheduled to debut June 2018.